It doesn’t take long for motion sickness to completely ruin a boating experience. Whether it’s you or someone else on the boat, nobody wants to deal with nausea, vomiting, headaches, and cold sweats. Now for the million dollar question: Is there really an effective way to prevent motion sickness in the first place? 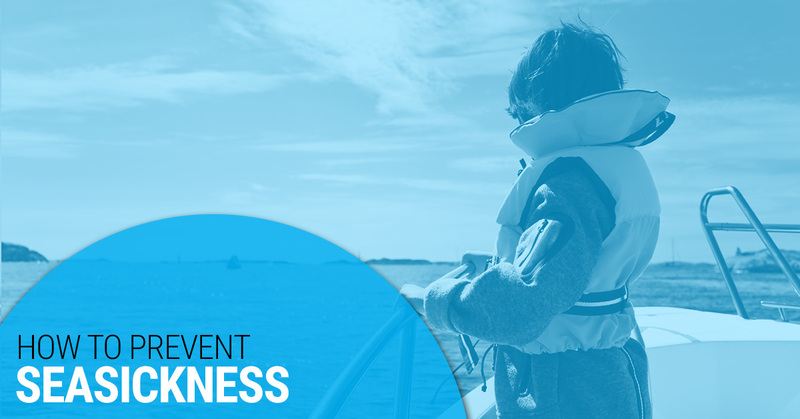 Believe it or not, feeling exhausted leaves you susceptible to factors that often cause seasickness. That’s why it’s a good idea to take it easy the night before your trip. In addition, drink lots of water and avoid having much alcohol. Over-the-counter drugs such as Bonine and Dramamine work by counteracting the effect of chemicals released by the brain during seasickness. If you have a boating trip coming up and are interested in antiemetic drugs, talk with your doctor. Just keep in mind that antihistamines such as the aforementioned Bonine and Dramamine can cause drowsiness, dry mouth, and even dry eyes. You may also find fresh air beneficial. Our best piece of advice with this point is to focus on something other than the boat’s motion. Some passengers make the mistake of getting on a boat hungry. Frankly, having some food in your stomach prior to heading out on the water is ideal. Just don’t overeat! Here at Marine Customs in South Florida, we recommend light snacks such as saltine crackers, plain bread, or pretzels. You may also want to have some peppermint onboard, as it may have calming effects on the stomach. Our boat decking experts recommend reading ‘Snacks to Bring on a Boat’ for more information. A number of factors can trigger nausea. Greasy foods, spicy foods, acidic foods, and large meals, in general, are definite no-nos several hours prior to boating. Steer clear of alcohol as well because it speeds up dehydration and may lower your body’s resistance to motion sickness. 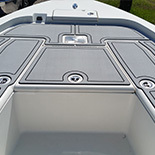 Now that you have some good strategies for preventing seasickness, take a long look at your boat’s flooring. Is it ready for yet another boating adventure with friends and family? If not, then you may want to invest in non-skid decking products. 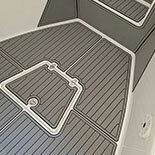 Marine Customs has been a custom fabricator and installer for marine decking for years. 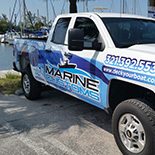 Whether you have a boat, personal watercraft, kayak, or another vessel, rest assured that we have anti-slip decking with your name on it. Why let spider cracks and other surface imperfections pose as a safety hazard for passengers? 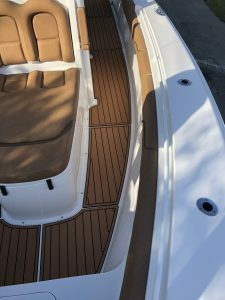 Our boat decking products not only look incredible, but they’ll have you using your boat more than ever before.